There is no proof nor yet any denial. A man must know his destiny… if he does not recognize it, then he is lost. By this I mean, once, twice, or at the very most, three times, fate will reach out and tap a man on the shoulder… if he has the imagination, he will turn around and fate will point out to him what fork in the road he should take, if he has the guts, he will take it. So let us do real fighting, boring in and gouging, biting. Let's take a chance now that we have the ball. Let's shoot the works and win! Yes win it all. Every man is scared in his first battle. If he says he's not, he's a liar. Some men are cowards but they fight the same as the brave men or they get the hell slammed out of them watching men fight who are just as scared as they are. The real hero is the man who fights even though he is scared. 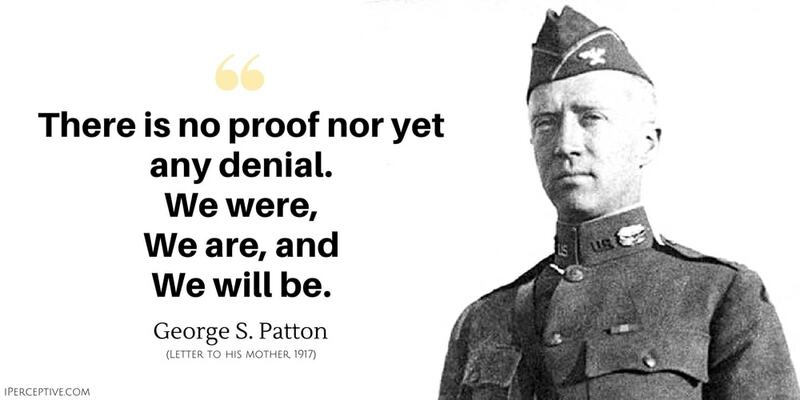 George Smith Patton was an American general and army officer. 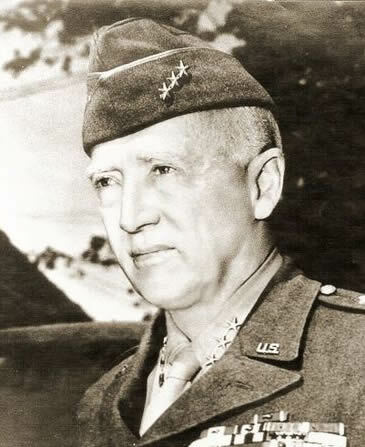 He is best known for his leadership as a general during World War II. His eccentric character and frankness has also made him quite prominent.